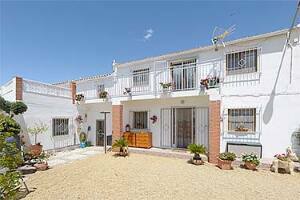 B&B Riaflora situated in Santopetar a hamlet of Taberno in Andalucia. Between hills where almond and olive trees grow, you can relax in this "casa rural" from where you can see the sea. The beaches of Mojacar are a half hour drive. Cyclist and MTB's will find the area to their liking. We are happy to except pets, but please inform us when you make a booking. There are 4 comfortable rooms with 1 of them being a family room. There is a pool and a terrace with exceptional views.